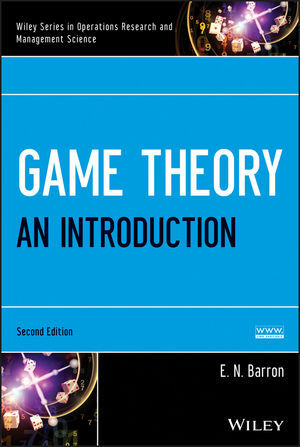 Game Theory: An Introduction, Second Edition offers a blend of theory and applications, allowing readers to use theory and software to create and analyze real-world decision-making models. This book demonstrates how to use modern software, such as Maple™, Mathematica®, and Gambit. This book provides detailed solutions and explanations to the problems presented in Game Theory: An Introduction, Second Edition. It is a trusted guide and an excellent resource for professors of mathematics and economics and researchers in economics, finance, engineering, operations research, statistics, and computer science. 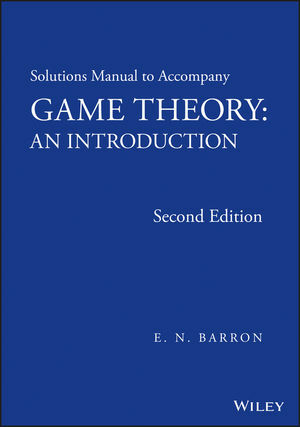 E. N. Barron is the author of Game Theory: An Introduction, Set, 2nd Edition, published by Wiley.